Lloyds Autobody was established in Liverpool, UK in 1987, specialising in accident repairs for luxury vehicle brands. 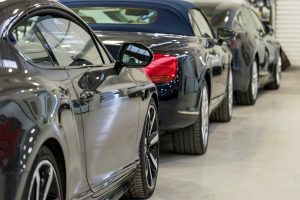 It opened a second branch in Manchester in 2000 and across the two sites handles cars from McLaren, Rolls Royce, Bentley, Jaguar Land Rover, the Volkswagen Group and more. Lloyds Autobody is accredited and approved by these brands, so customers know that the service they receive will be of the same quality as from the manufacturer. 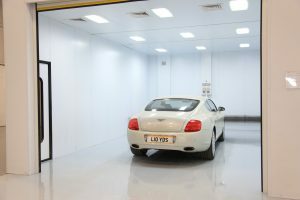 To help achieve the exceptional finish required on these high-end cars, Lloyds Autobody uses a Drytac Spray Booth Liner in its two sites’ total of four bays. This white PET carrier film has a double-sided adhesive, with a low-tack side that adheres to spray booth wall panels – designed to peel off easily in one piece – and a high-tack side that faces towards the booth to capture overspray and dust particles. 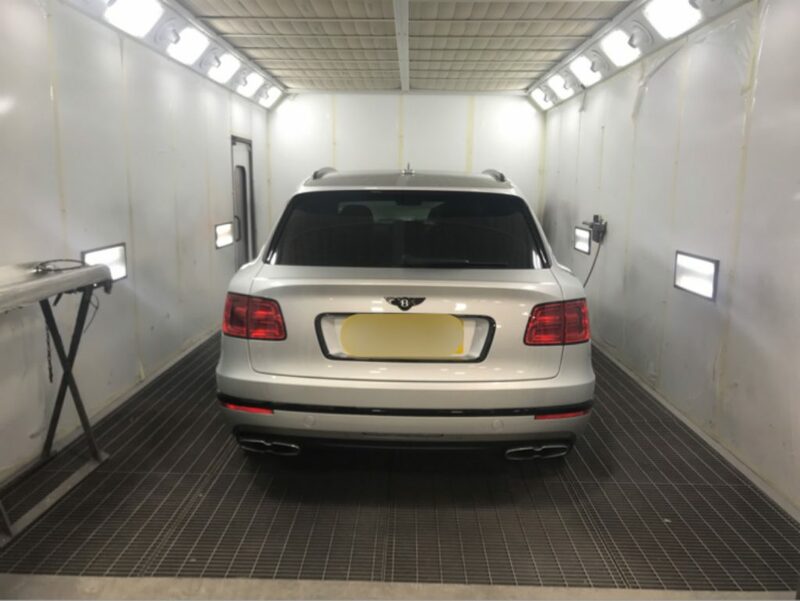 As such, the Spray Booth Liner shields against harmful contaminants in spray booths, reduces static electricity – making spray-painting easier – and increases the luminescence level of the space. It can be applied like wallpaper, with installation and removal quick and easy to achieve thanks to its non-stretchable PET carrier, with no protective clothing or equipment required. Spray booths can be used immediately following installation of the Spray Booth Liner – there is no need to spray, pressure-wash clean or wait for walls to dry. 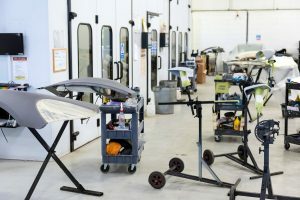 Andrew Johnson, Project Manager at Lloyds Autobody, explains that the Spray Booth Liner has been used at the two sites for the past five years, and is replaced every three months. Andrew Johnson adds that there are similar products on the market but Drytac’s Spray Booth Liner is both more malleable and less expensive than its competitors. “It’s the best,” he says. The self-adhesive liner is one of Drytac’s specialty products designed to meet a specific need. The company creates unique adhesive products tailored to customer specifications, alongside its key product areas including window, wall and floor graphic media, laminating films and mounting adhesives, high-performance tapes, industrial adhesives and durable labels. Drytac is a leading international manufacturer of self-adhesive materials for the large format print and signage markets. For more information on this product or Drytac’s services, please visit www.drytac.com. For more information on Lloyds Autobody, please visit www.lloyds-autobody.com.